Getting to know the trees around you. Being a part of the WaterWays Township community means you do not just live in your home, you have the wonderful opportunity to explore this stunning natural environment as well. With so many opportunities to hike around the Richmond Hill area, it is important to be knowledgeable about the local habitat through which you are exploring. Here are some fun facts about several different types of trees you may encounter on your next adventure. 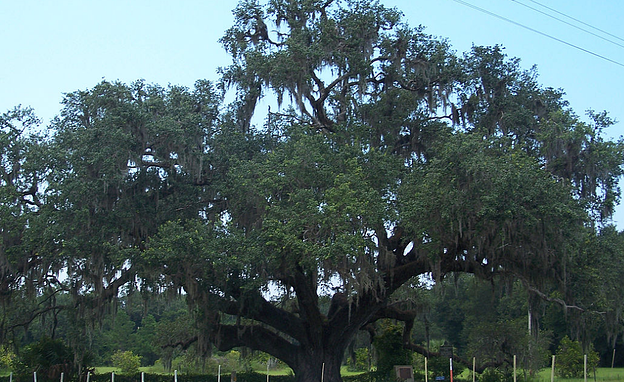 Did you know that the Live Oak is Georgia’s state tree? You may come across many of these majestic hardwoods on your journey, as well as other variations of oaks. Also found in Georgia is the White oak, Turkey oak and Georgia oak. Oaks can grow up to 100 feet high and, even more amazingly, 150 feet wide. The leaves of the oak vary in size from two to five inches and take the shape of an oval with the upper part of the leaves being dark green and the bottom of the leaves a grayish blue color. The leaves turn to varying shades of red, orange and yellow in the fall. To identify the bark on the oak, look to the color of the bark. The tree is young if the bark is dark brown, and as the tree ages the bark turns to a reddish hue that will often turn to black. Also as the tree grows into maturity, the bark will develop scaly ridges with a furrowed appearance. 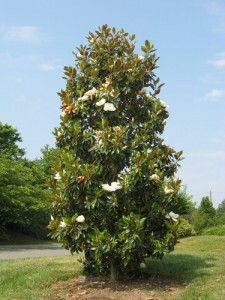 Also native to Georgia is the magnolia tree. Adaptable to a variety of soils, magnolias can grow in a great number of places. The southern magnolia can grow up to 80 feet tall and can spread to up to 40 feet wide. However, even though these trees are not hard to spot, you may smell a magnolia before you see it. These trees are highly aromatic, emitting a strong scent that can permeate the surrounding area. When autumn comes, you will find that this evergreen sheds a lot of large leaves that will not leave the ground quietly. Though most commonly associated with Christmas, holly trees are actually around all year long. Most have glossy, dark green leaves with spiny or prickly margins and red berries, although some holly trees have oval or spear-shaped leaves. Holly trees are unique in their range from small shrubs to medium-sized trees. 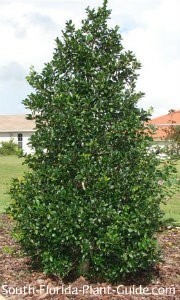 In fact, the American Holly can grow up to 40 feet tall. Look out for one of these types of trees next time you decide to take a trip off the beaten path. For more information on trees, visit our friends at http://extension.uga.edu/.